Having already heard a new track from the upcoming Rentals album, count this man in as excited for the band’s return in 2014. Today the band is offering up another new single called “1000 Seasons” for us to grow even more excitement. Once again, I can’t seem to get enough of this throwback rock sound that is making me feel nostalgic and like a young teen again. Loving the sound here. Get your hands on the new album Lost in Alphaville due out August 26th on Polyvinyl Records. I know that you may have seen this tune elsewhere last week, but when a song is as sweet as this one, I will post it despite my tardiness. To keep this brief, The Rentals have always been a big favorite of mine and I’m super excited that they are returning this year with their much delayed 3rd LP. This track called “Thought of Sound” is a preview of the new album and it’s proving that the wait for new music was well worth it. Seriously, these guys have a distinct sound that is just like no other. YES. New album, Lost in Aplhaville, is due out August 26th on Polyvinyl Records. 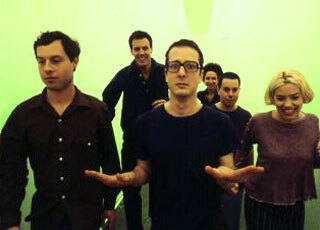 Matt Sharp and his band The Rentals finally got back together a couple years ago and are hard at work on a whole slew of new material. The new project from the band is called Songs About Time and is a year long project with films coming out every day, short films every Tuesday and 3 EPs dropping every 3 months. It’s quite the project and no one would expect any less from Mr. Sharp. Two of these EPs Chapter One: The Story of a Thousand Seasons Past and Chapter Two: It’s Time to Come Home are both streaming and available for digital download on The Rentals website. Stay tuned because even more new material will be coming your way soon. Here’s the title track from Chapter 1. Britain’s The Boy Least Likely To have made waves in the past with their multi-instrumental pop tunes, and their back at it again with their latest release The Law of the Playground. Their sound clearly hasn’t evolved too much on this album, as they rely upon the same set of tricks that gained them popularity in the first place. Once you press play, those of indie-pop should surely find a resemblance in vocalist Jof’s delivery, as his voice is a clear descendant of Matt Sharp of Rentals and Weezer fame. Even the musical accompaniment encourages this association, but its nice to have a familiar voice singing in your ear, even if it comes from someone entirely new. Musically, you can find lots of similarities to various bands. The usage of multiple instruments throughout the album recall memories of other groups such as Architecture in Helsinki or I’m From Barcelona. All three groups rely upon an extensive use of layering in order to complete the accomplished goal at hand. And their is no shortage of bells and whistles here, not by a long shot. You know the saying “everything and the kitchen sink,” well, it certainly applies. There indeed are bells and whistles, and it seems as if the band uses any thing at their command to create infectious melodies. Add some horns, and you’ll find that every single instrument you could imagine to find on a pop album is utilized here. It’s great in concept, but it has a tendency to wear the listener down. Just saying. Now, looking deep in the lyrics will be hard to, as there really isn’t a great deal of depth swirling around the presentation here. Let’s take a song like “When Life Gives You Lemons I Make Lemonade.” Can you work a larger cliche into song than that one? Probably not. Which is precisely where this band loses you; their lack of interest, or seeming disinterest, is where you start to feel frustrated in listening to the band. They’ve built these perfectly crafted songs, yet they can’t ever seem to close the deal by attaching quality lyrics to such melodies. Two albums into their career, the band have created a wide array of pop gems to their name, each built with precision and attention to every melodic detail. Time after time, they surprise you with moments of splendor, as they do in “Stringing up Conkers” on their most recent release. But, in the end, they always leave you craving for more, be it in regards to lyrics, or in regards to wanting more well-crafted songs, you’re sure to ask for more. When it comes to the Austin music scene, it’s pretty difficult to break into the scene out of nowhere, as most bands that make it out have spent years winning over audiences in our town. Built by Snow is set to be one of those bands, as they release their album Mega on January 20th. The first actual track, “Something in 3D” immediately catches any listeners ears, as their angular pop melodies infectiously invade your head. The backing vocals of “whoos” and “whaas” add the perfect compliment to the song’s structure. It’s a song reminiscent of early Rentals material. Another solid track, “All the Weird Kids Know,” follows with a similar strength, as the band goes all the way back to traditional 80s pop sytlings as they create a number that most bands would kill to create on their own. 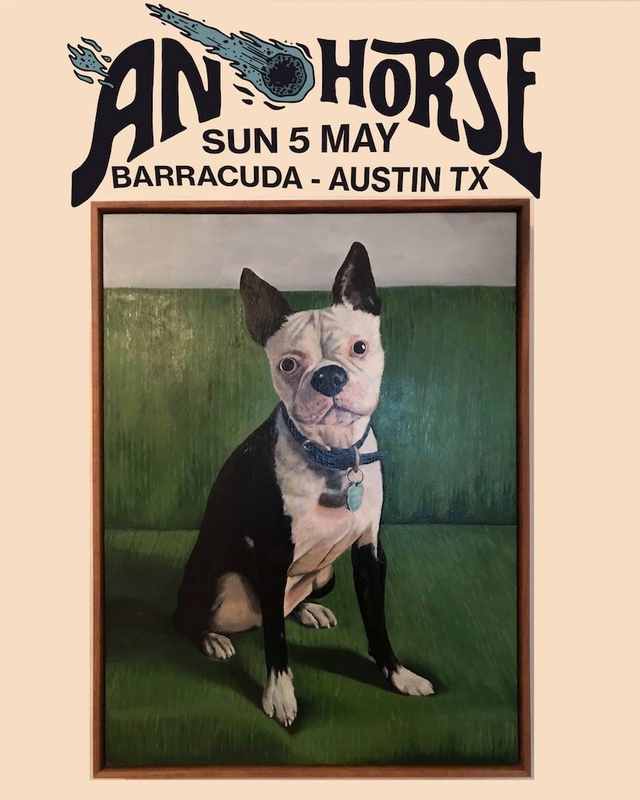 This is one of those songs that everyone yearns to hear, and it’s sure to be a crowd pleaser as they seek to etch out their place in the local Austin market. Besides, who doesn’t love a well-done gang vocal? They slow it down a little in the middle, allowing space and Nintendo-esque keyboard work to provide the skeletal workings of their gentler numbers. Sure, there are some gaps here that show a necessity for further song exploration, but even the base of a song like “A-Beta” shows a band that is willing to work on all aspects of their album, rather than just settling for the same patterns over and over. In all actuality, the band has reference points left and right, though they never seem to rest solely on the forefathers of their sound. Hints of The Rentals dash in and out due to the keyboard work, but then they push you in another direction. “Invaders” recalls a less catastrophic version of Los Campesinos, as the band spins you around your room with fists in the air. Once again, they win you over with their willingness to keep it simple and clean, all the while keeping it as catchy as possible. One of the best things for this band’s album has to revolve around the fact that they don’t misstep once. It’s possible that the infectious hooks might not be for everyone, but for those that adore this genre, they will be pleased to know that it’s solid through and through, which is a great accomplishment for any band, especially such a small fish in a large pond. At the end, we can all be thankful for a new band worthy of our time and adoration here in our home town. Look for the band around town as they have sets this Thursday at Beauty Bar and their CD release party on January 24th at Club Deville.